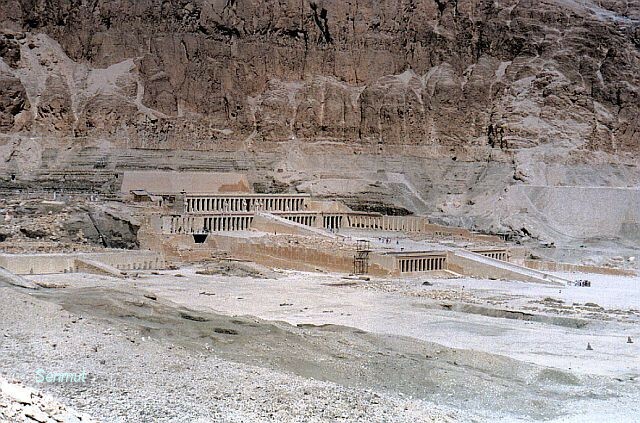 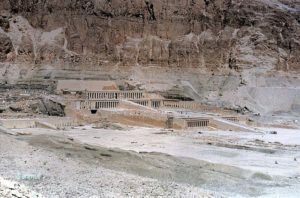 Temple of Hatshepsut at Deir el Bahri is probably the most astonishing building in Egypt. It looks are almost modern and is a proof of the willpower and determination of her figure. 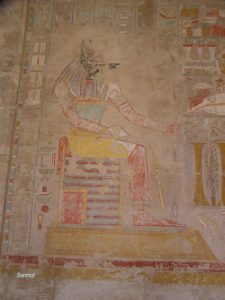 It was almost gone into ruins by the act of her jealous nephew Thutmose III and earthquakes, and it took the Polish team about twenty years to restore and rebuild it. 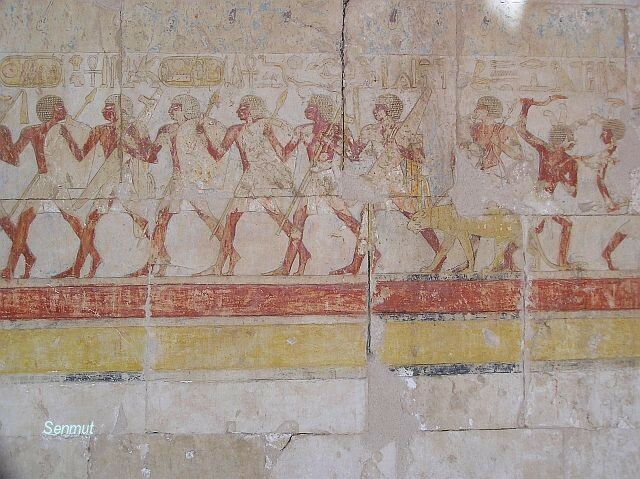 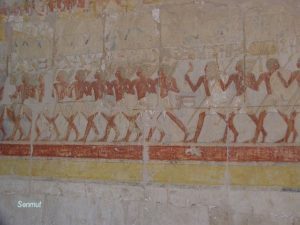 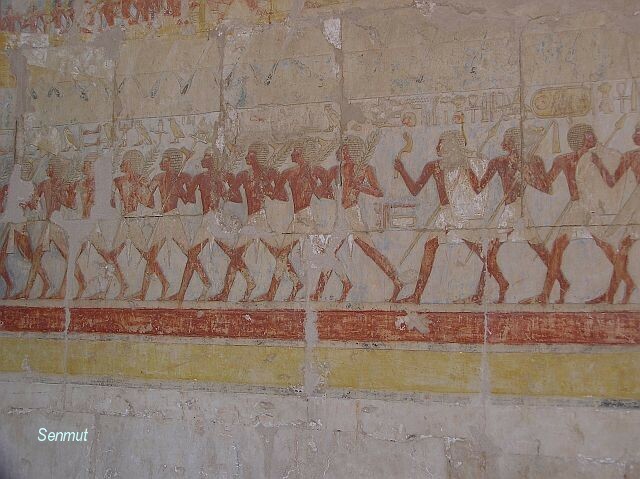 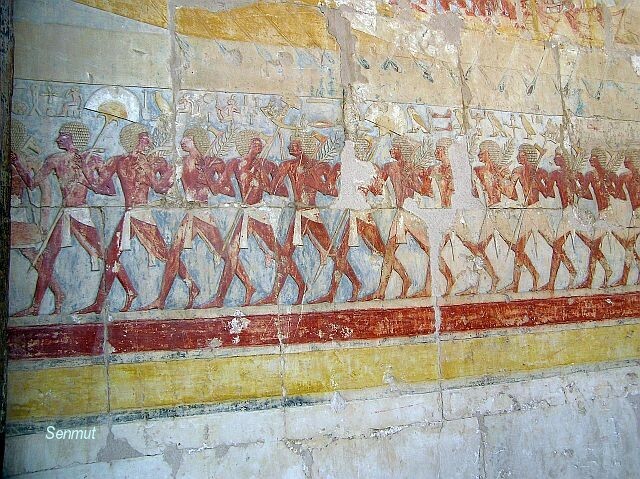 On the walls we find magnificent colors and the famous scenes of the mission to Punt. 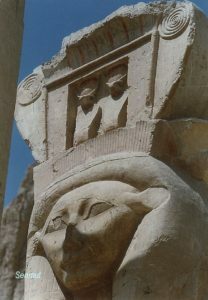 One of the few women, who managed to become King and Farao and maintained to hold the power and the thrown for more than 20 years. 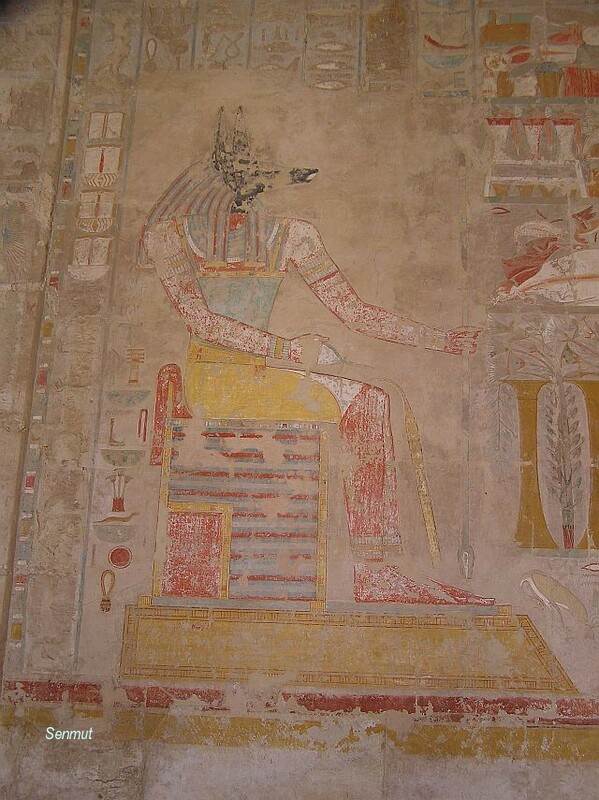 In this temple she declares to be the rightful heir to the thrown, being the daughter of Amen himself. 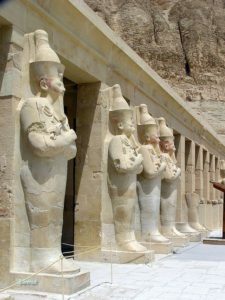 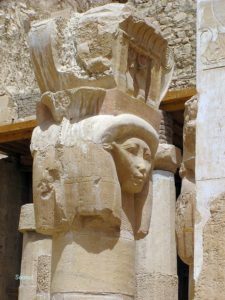 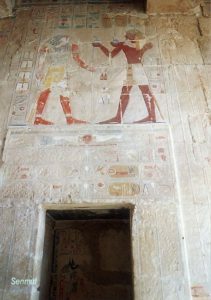 The temple was built by her favorite Vizier and architect Senmut, who also built for himself a private tomb almost underneath the temple TT353. 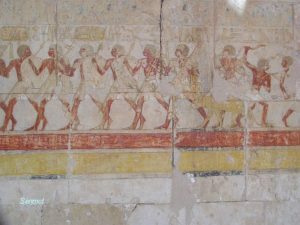 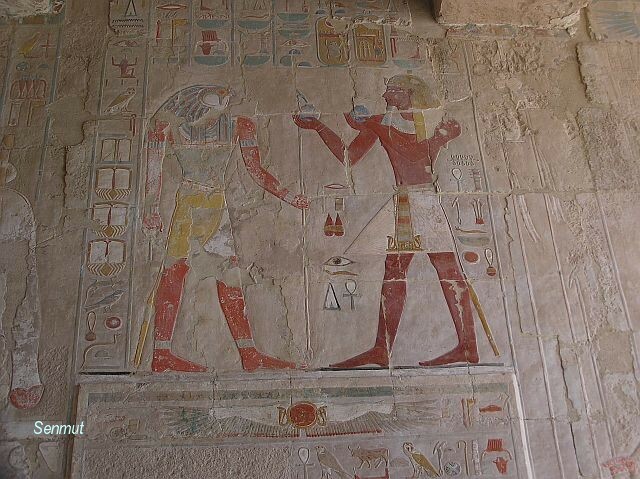 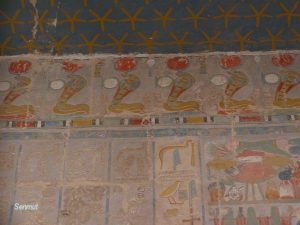 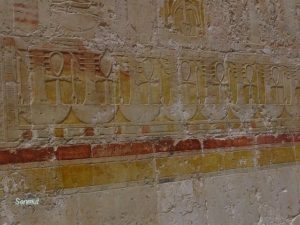 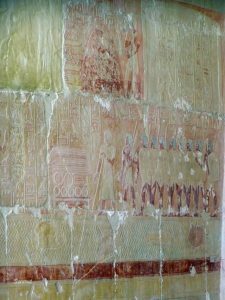 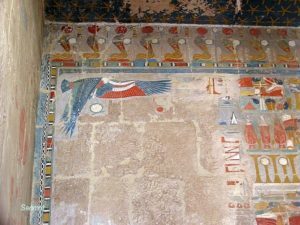 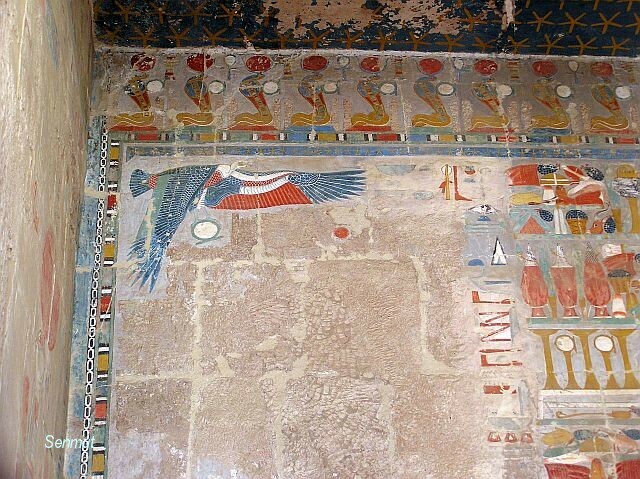 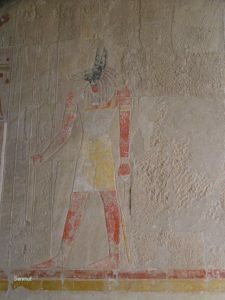 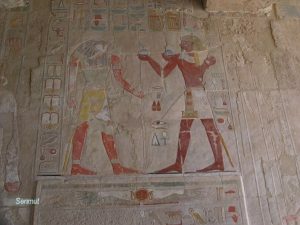 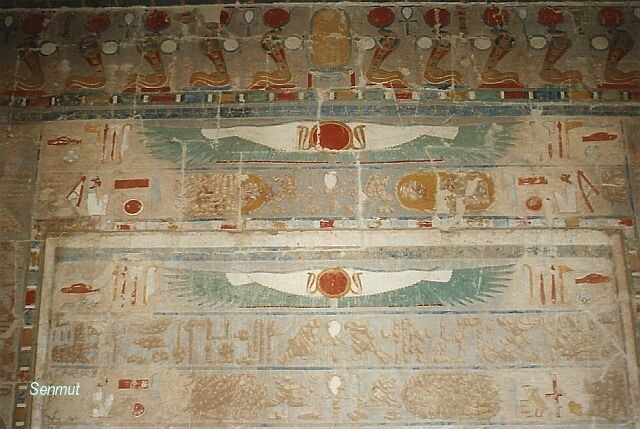 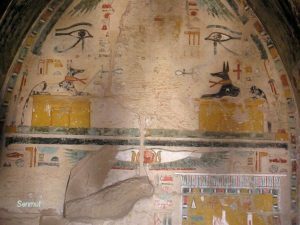 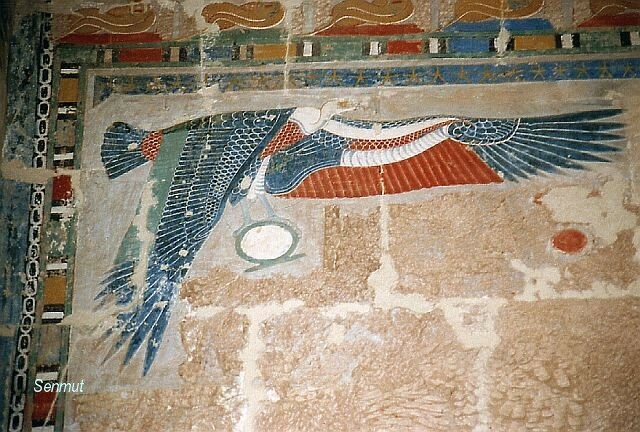 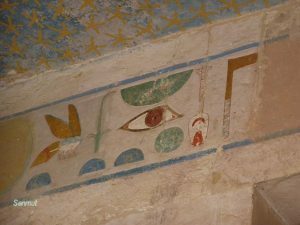 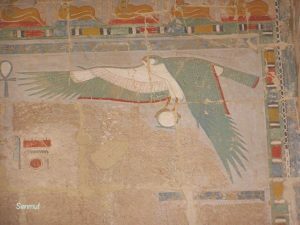 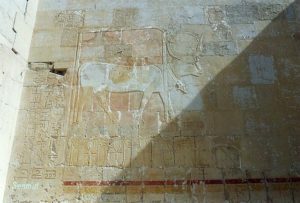 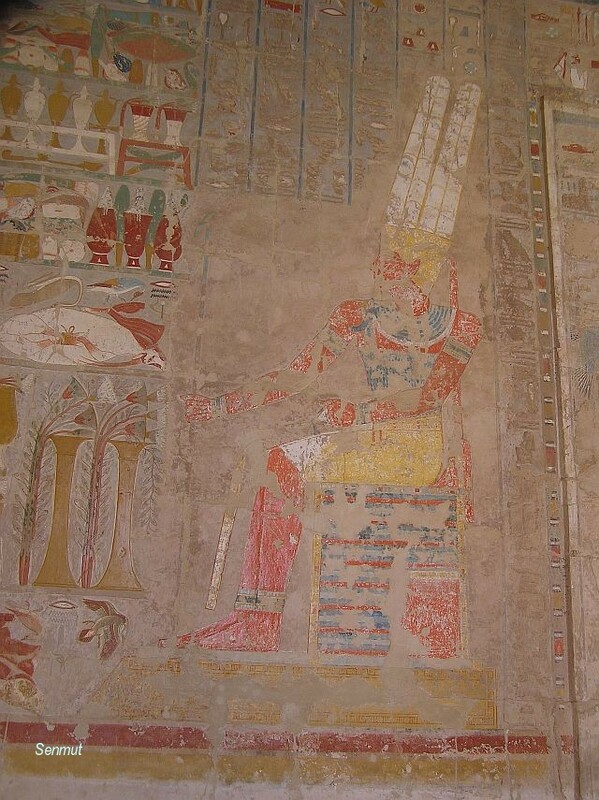 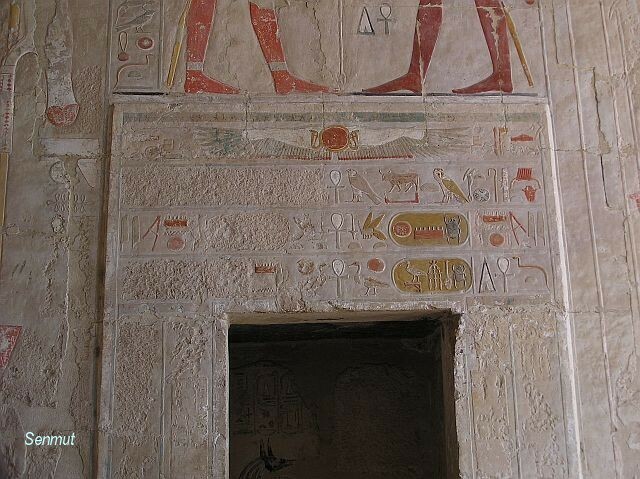 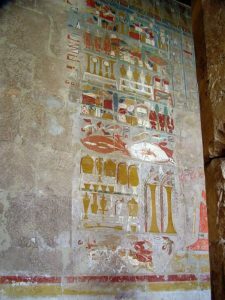 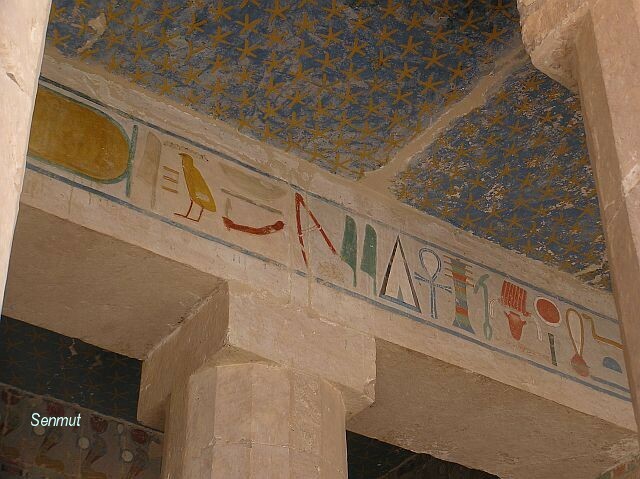 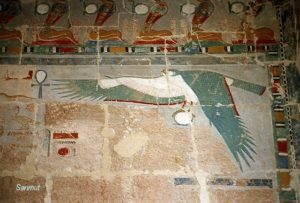 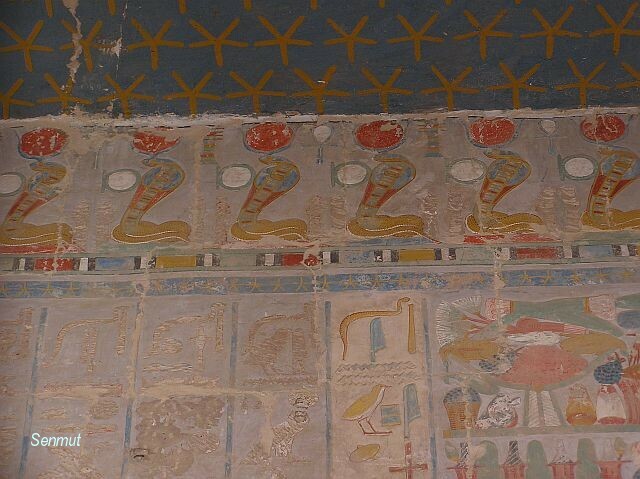 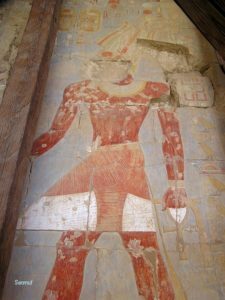 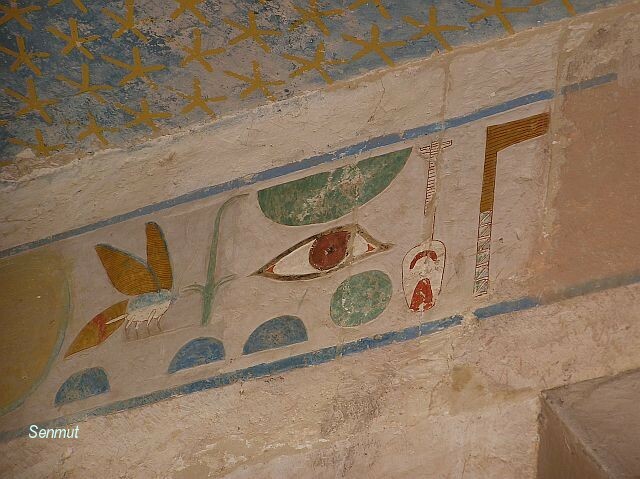 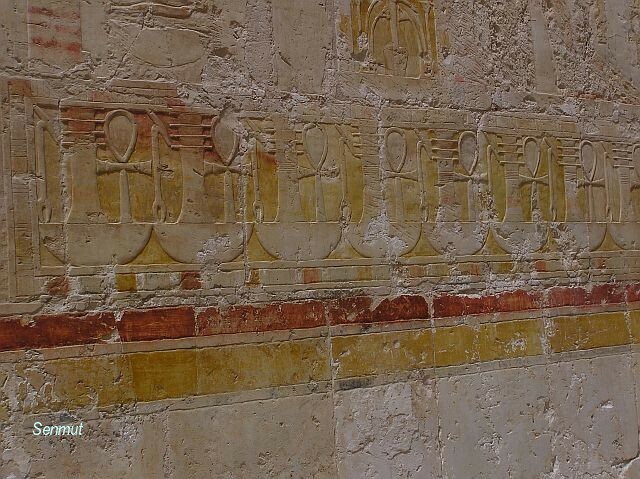 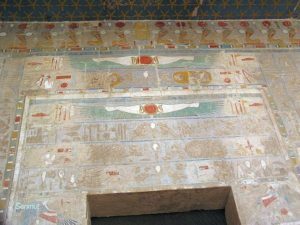 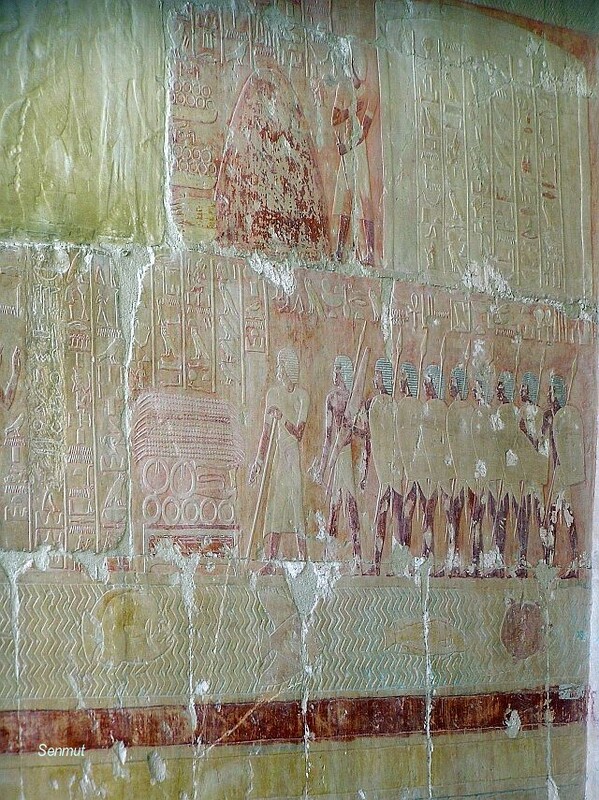 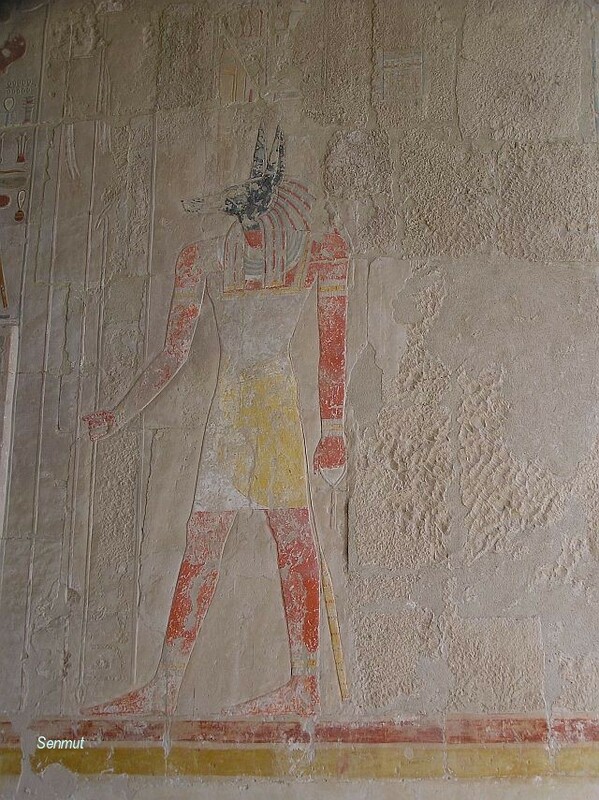 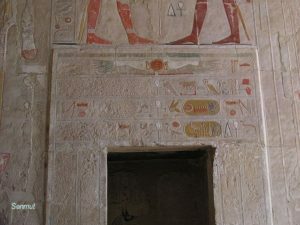 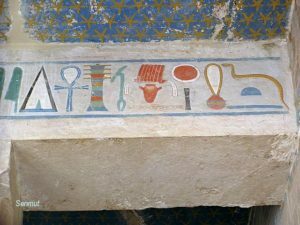 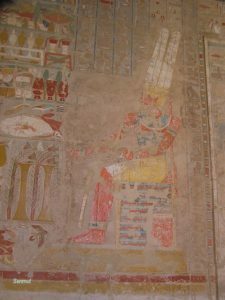 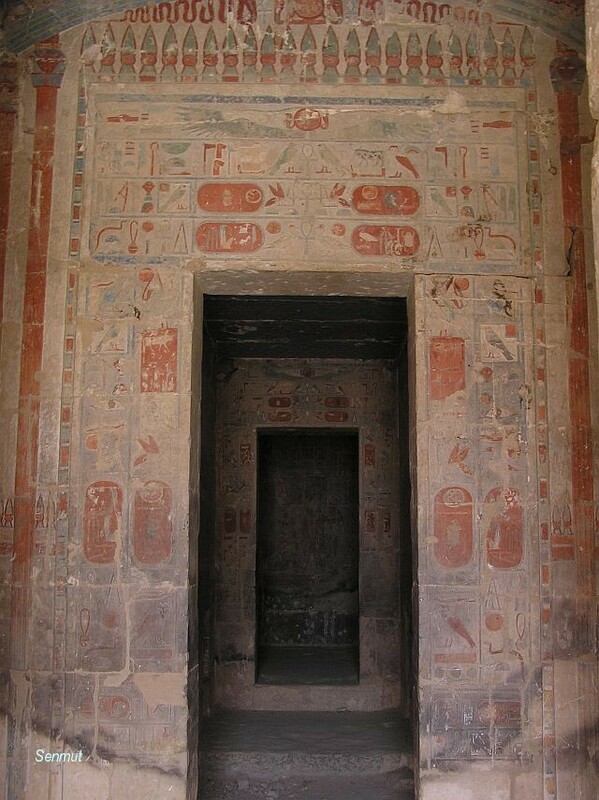 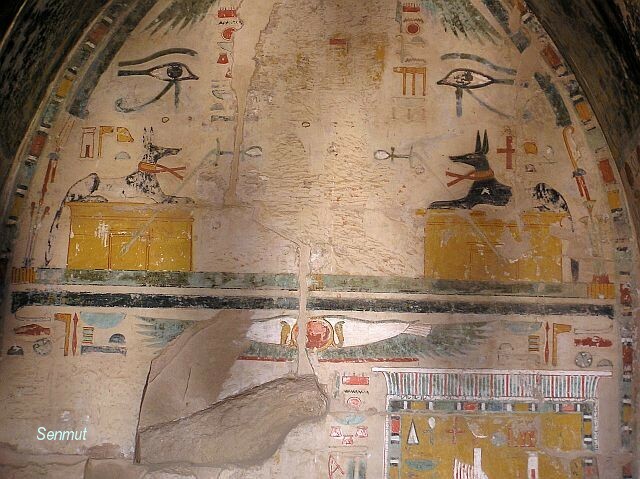 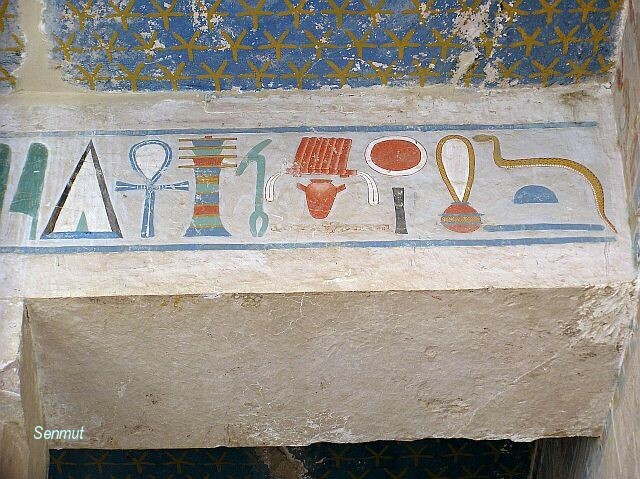 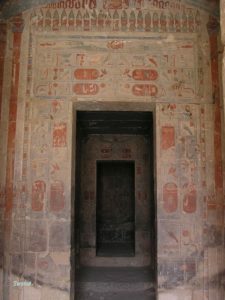 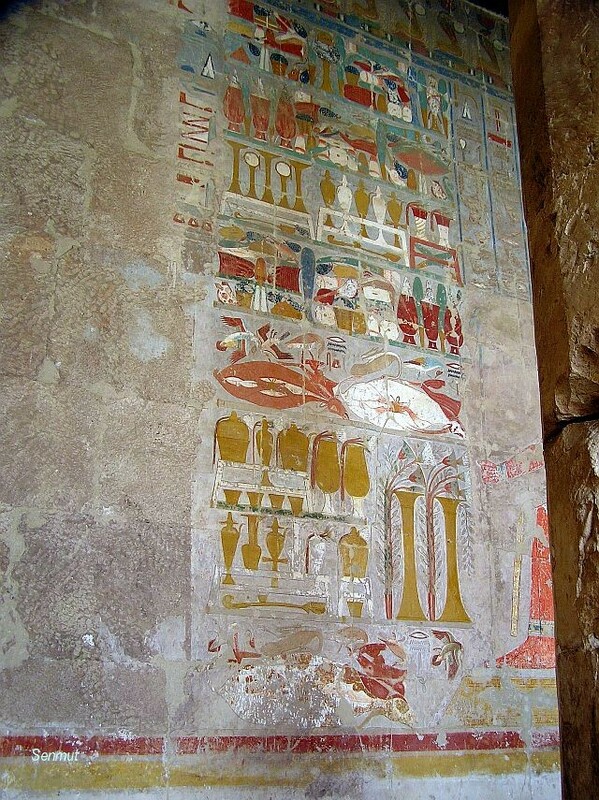 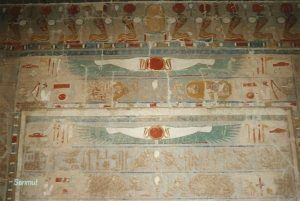 In one of the chapels he also has depicted an image of himself, probably illegal, or otherwise if he did so with the queens knowledge, he would have been the highest most outranking figure, ever lived in ancient Egypt. 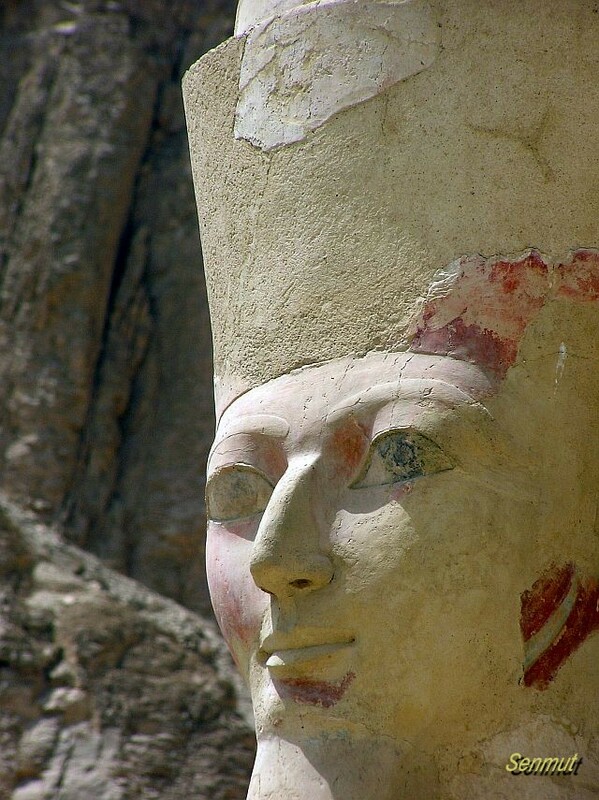 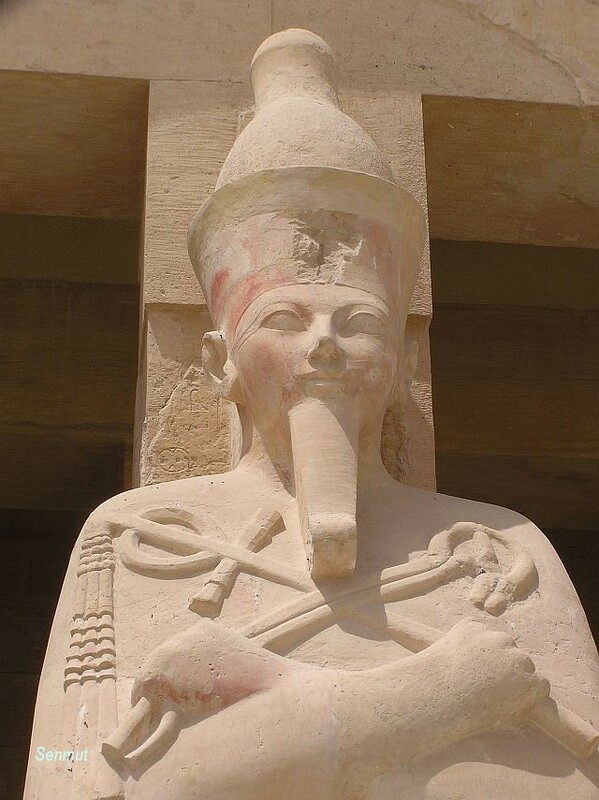 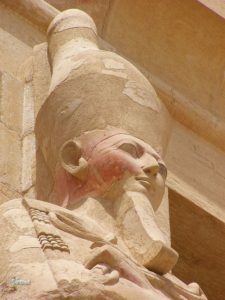 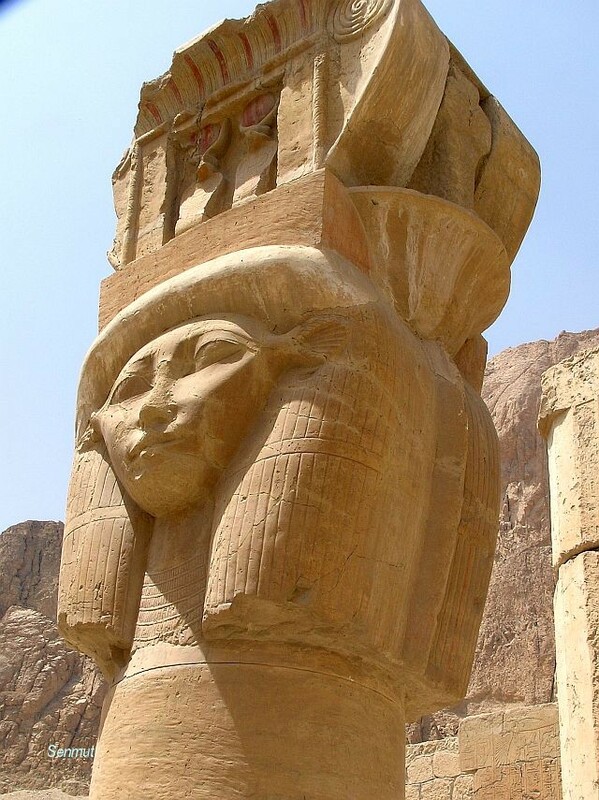 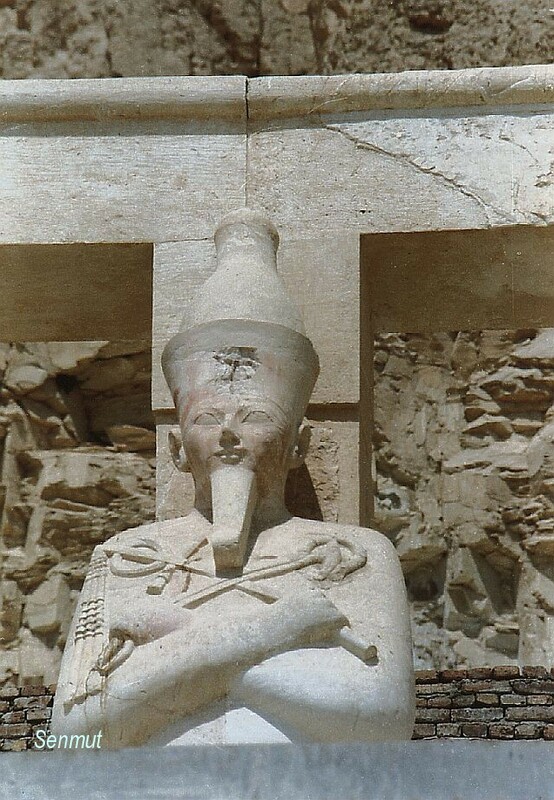 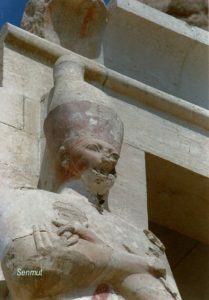 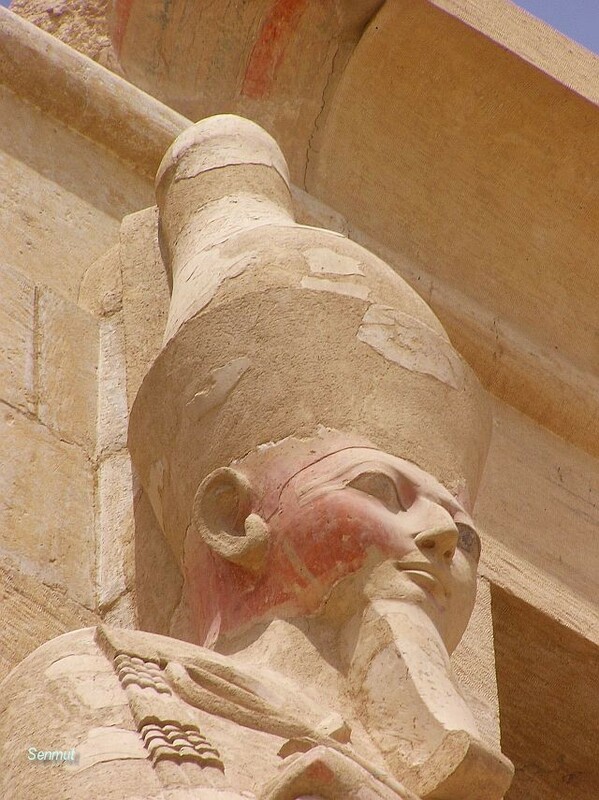 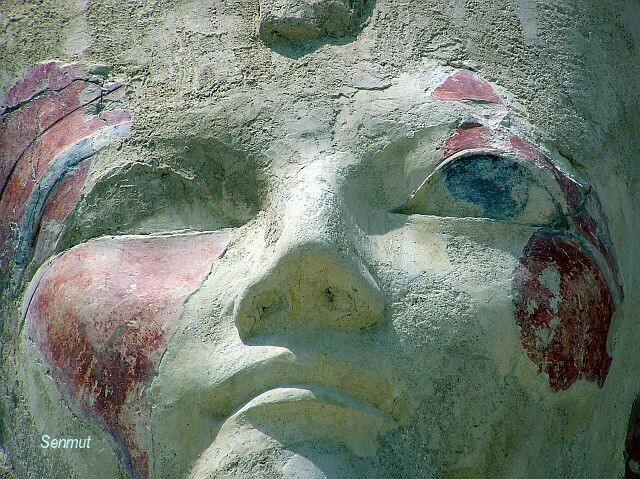 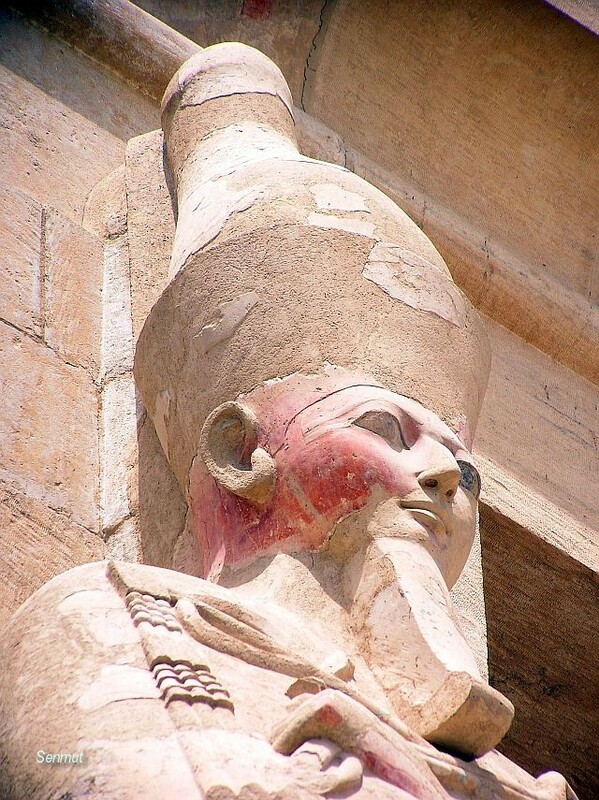 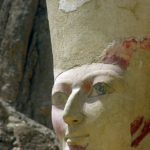 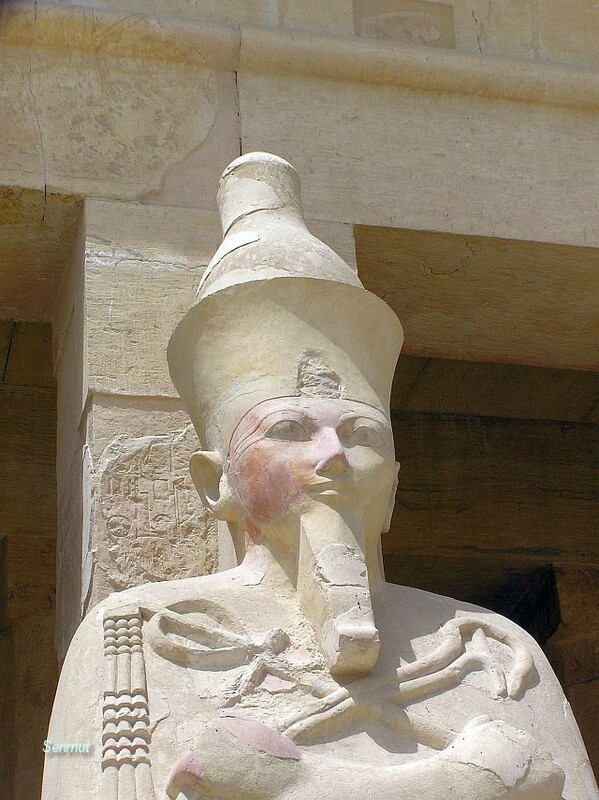 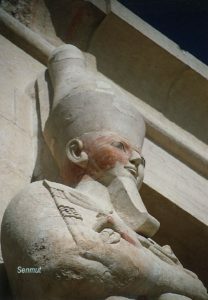 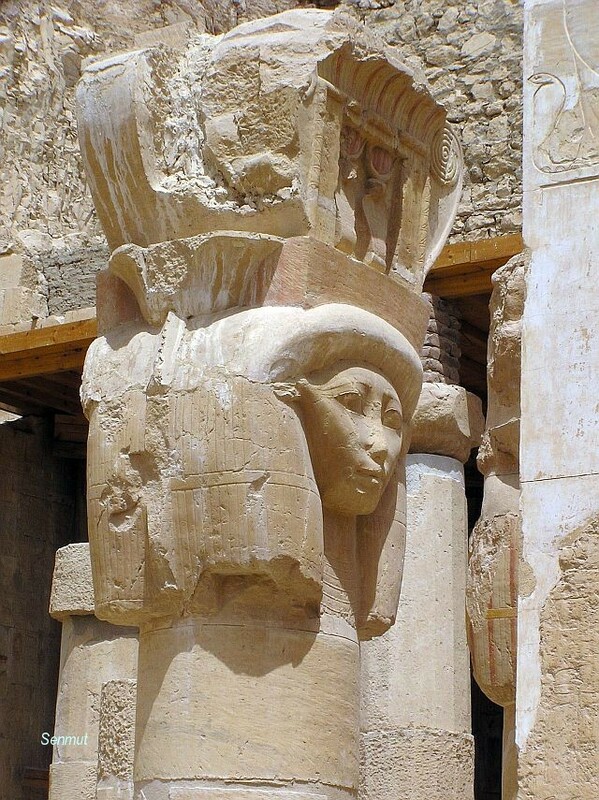 Most of the figures and names of Hatshepsut have been erased by her nephew and successor Thutmose III.